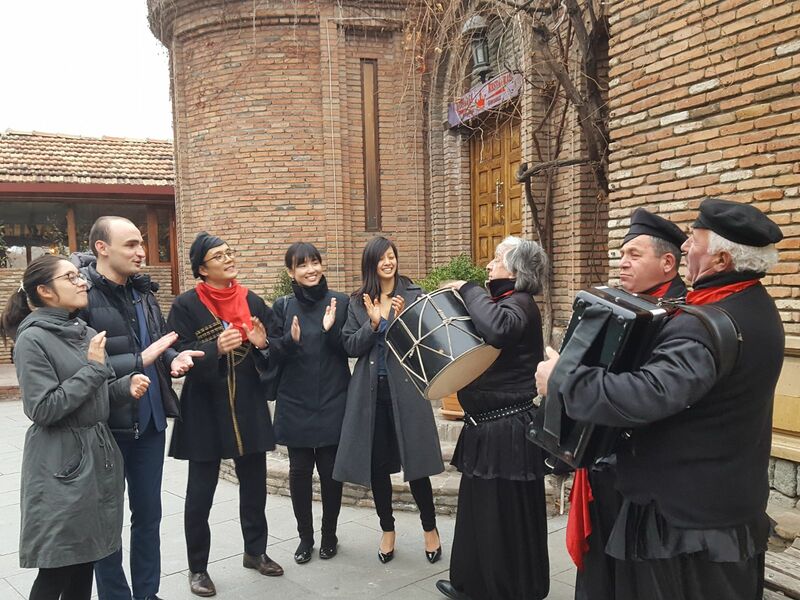 Kicks off in Central Asia! 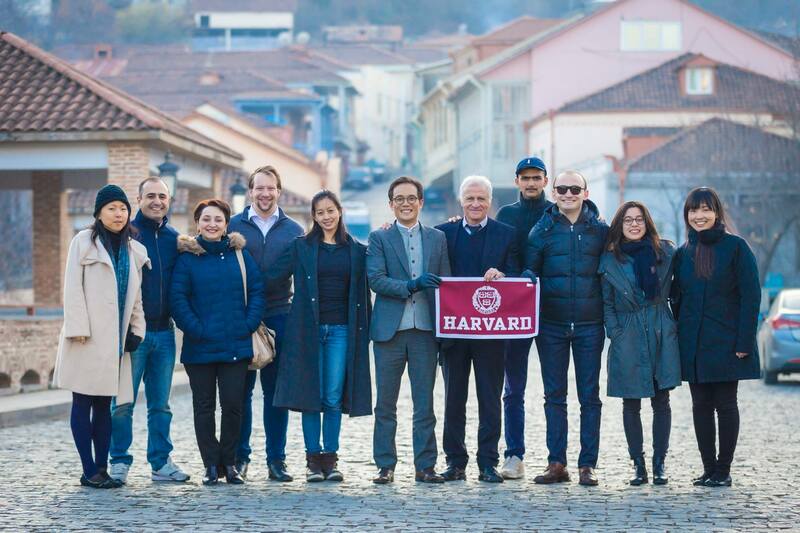 On December 17, 2017, scholars from the Harvard Kennedy School, Harvard Business School, Harvard Graduate School of Education, Tufts Fletcher School of Law and Diplomacy, Stanford University and Australian National University arrived in Tbilisi, Georgia, marking the start of the Asia Leadership Trek X (Winter), and the Center for Asia Leadership’s first foray into the Caucasus region. 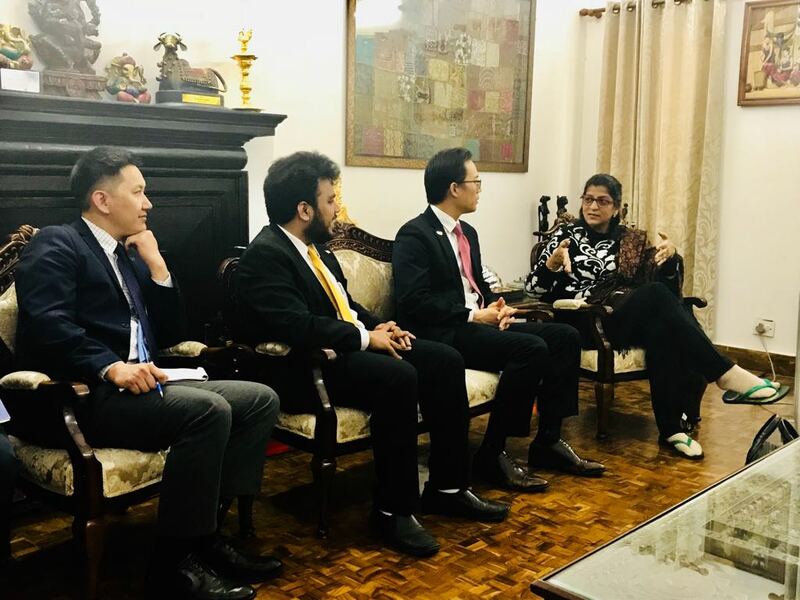 Over the next four weeks, the Trekkers engaged with key opinion leaders in government, business and local social enterprises, before continuing their journey to Baku, Azerbaijan; New Delhi, and Mumbai, India; Singapore; Kuala Lumpur, Malaysia; Seoul, Korea; and Tokyo, Japan and Korea. First incepted in 2012, the Asia Leadership Trek is designed to provide Trekkers with an avenue to gain firsthand accounts and insights into the challenges and opportunities impacting Asia, and acquire better understanding of current and emerging trends in fundamental political, economic and social forces that shape this fast-changing landscape. Georgia is strategically located at the crossroads where Europe meets Asia and possesses a unique, ancient cultural heritage. For centuries, Georgia was the object of rivalry between Persia, Turkey and Russia, before eventually annexed by Russia in the 19th century. Since emerging from the collapsed Soviet Union as an independent state in 1991, Georgia’s aspiration to join NATO and the EU has thrust the nation back into the limelight in the arena of conflicting interests, particularly between the United States and neighboring Russia. With an aspiration to understand the role Georgia can play in the world political arena, the first day opened with an official visit with the Vice Prime Minister and Minister of Foreign Affairs Mikheil Janelidze. 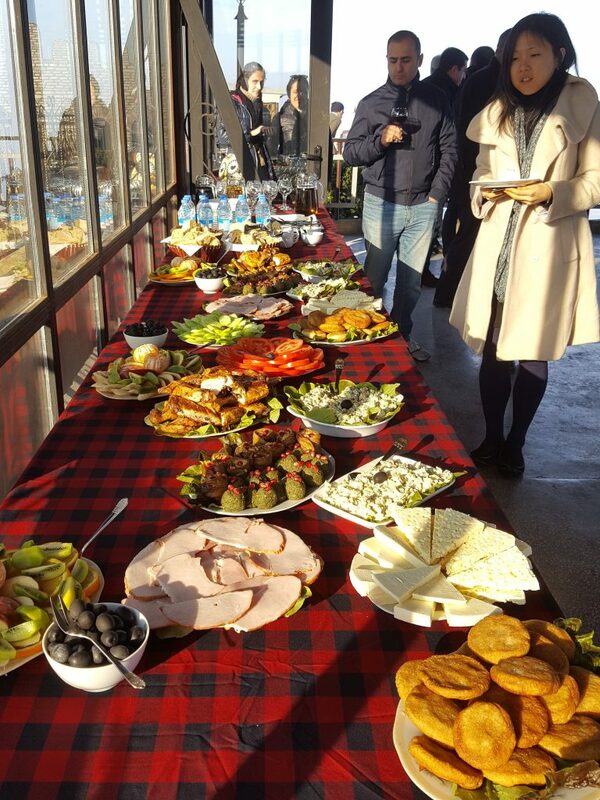 This was followed by a tour of the historical province of Kakheti. 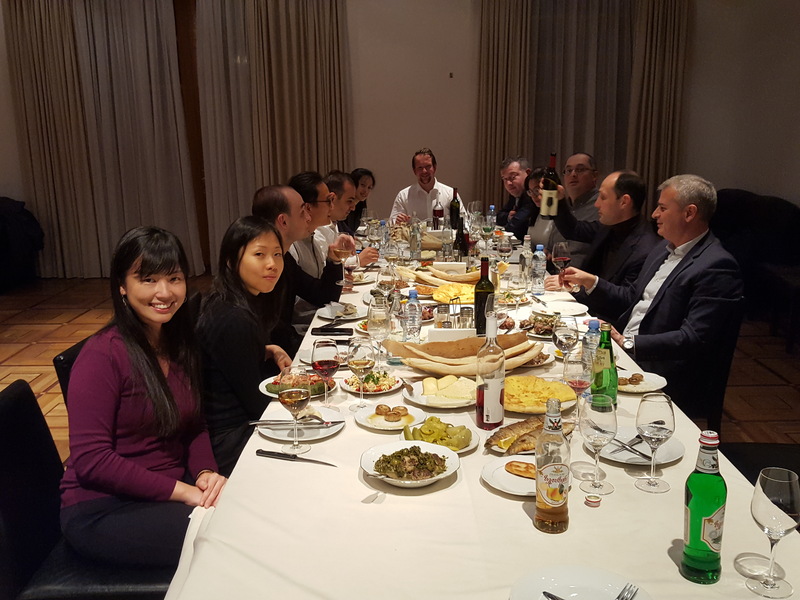 Later that evening, the Trekkers dined with the Minister of Agriculture of Georgia, Levan Davitashvili. On the second day, the Trekkers visited the Occupation Line in Khurvaleti; a demarcation which divided the territory of South Osetia from the rest of the country after the Russian-Georgian War in 2008. 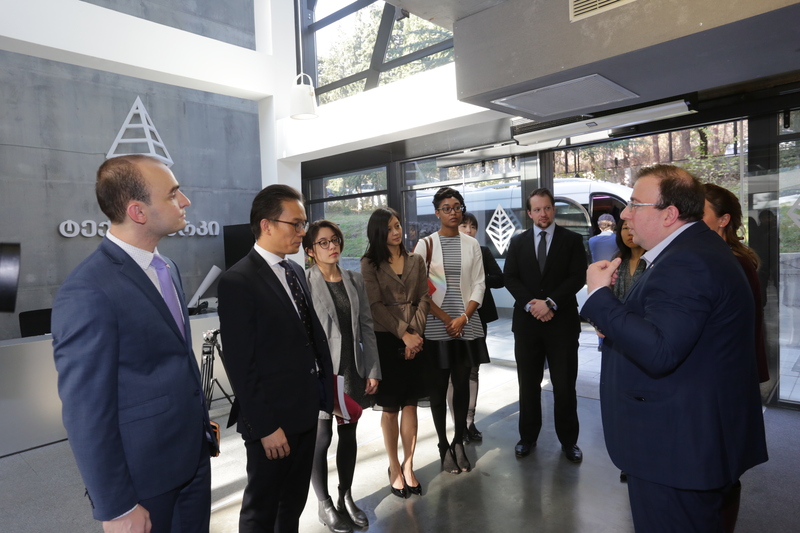 They then went on to visit Georgia’s inaugural Tech Park for innovation and technology before meeting with dignitaries from the Parliament of Georgia, among them Prime Minster Giorgi Kvirkashvili and First Deputy Chairperson of Parliament Tamar Chugoshvili, who spoke about the role of young leaders in Georgia’s reforms. The day ended with an audience with the President of Georgia Giorgi Margvelashvili, and a presentation on the Anaklia Port by TBC Bank and Anaklia Consortium. Elizabeth Rood, Deputy Chief of Mission from the United States Embassy in Tbilisi hosted the Trekkers for coffee on the third day to discuss US-Georgia relations. A Civil Society Round Table by the Georgian Foundation for Strategic and International Studies concluded the Trekker’s inaugural visit to Tbilisi, Georgia. Azerbaijan is tracked to play an essential role as a European partner due to its stable economy, and being geographically rich in oil and natural gas. The Southern Gas Corridor (SGC) is also likely to boost Azerbaijan’s importance in Europe, making it an ideal destination for the ALT. 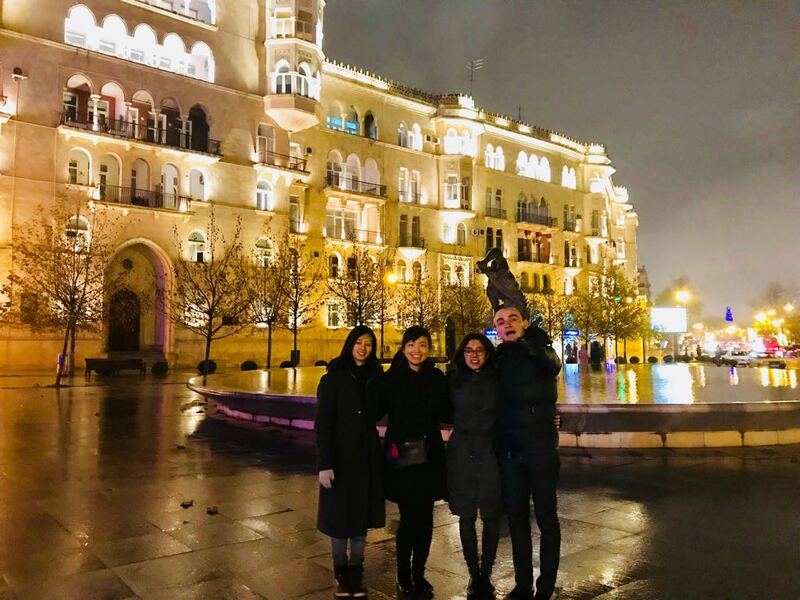 The Azerbaijan Trek commenced on December 21 with a city tour to the National Flag Square, the Oil Wells, the Old City, the Maiden Tower and the Baku Boulevard. After a lunch meeting with Parliamentarian Vusal Huseynov, the Trekkers sat in a panel discussion with seventy students from the Azerbaijan State University of Economics, before making a pitstop at Baku’s modern history museum, the Haydar Aliyev Center. 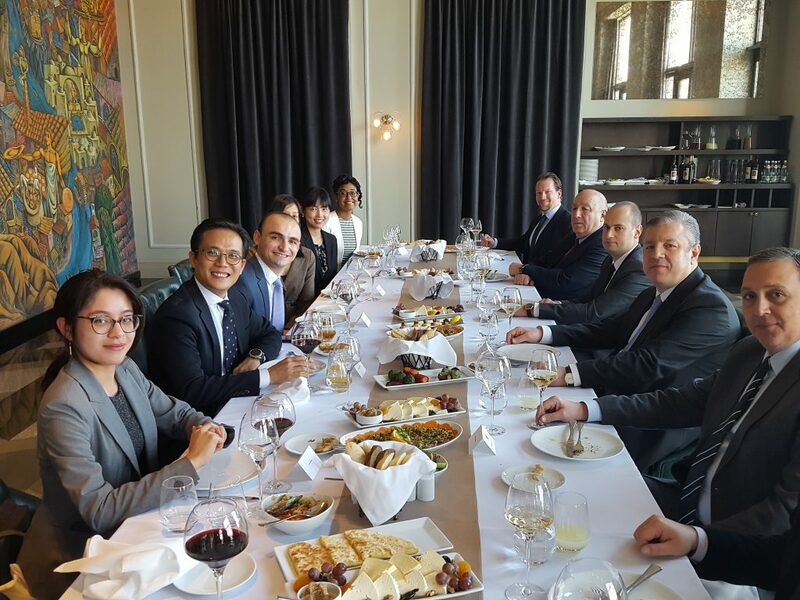 Dinner was a social affair with Harvard alumnus, including Parliamentarians Vusal Huseynov, Vusal Isayev, and Fakhrradin Ismaylov. 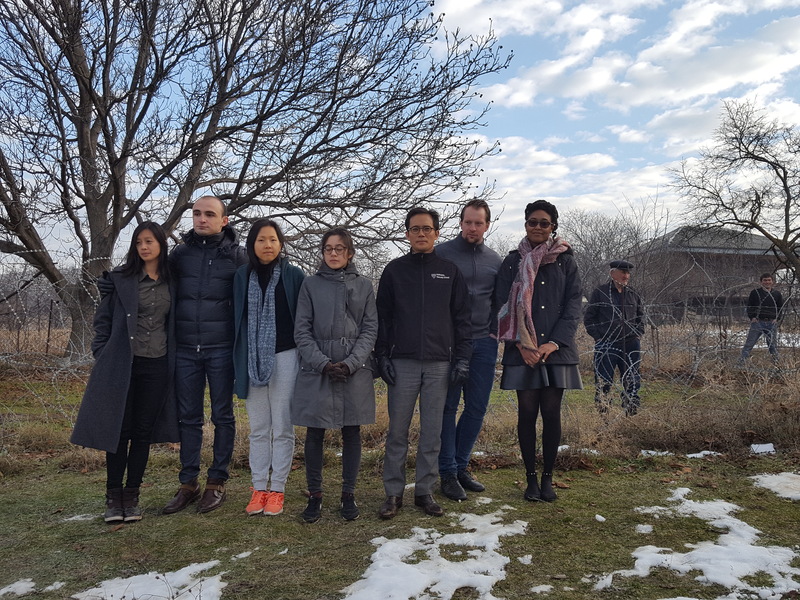 The second day commenced with a visit to the Alley of Martyrs, a cemetery and memorial dedicated to those killed during the Black January and in the Nagorno-Karabakh War. 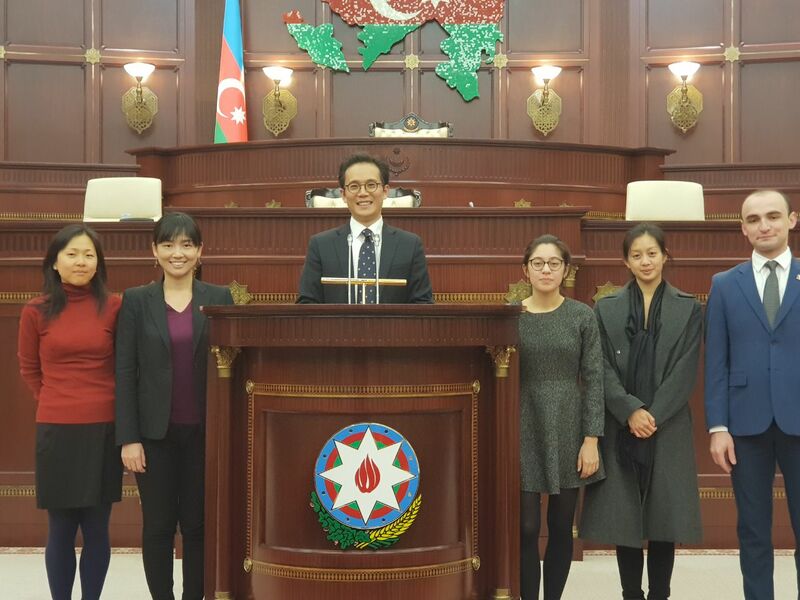 This was followed by a visit to the Azerbaijani Parliament, also called the “Milli Majlis”. Next, Trekkers visited the Ministry of Foreign Affairs, State Agency on Public Services and Social Innovations/ASAN Center, and the Azerbaijan Diplomatic Academy. 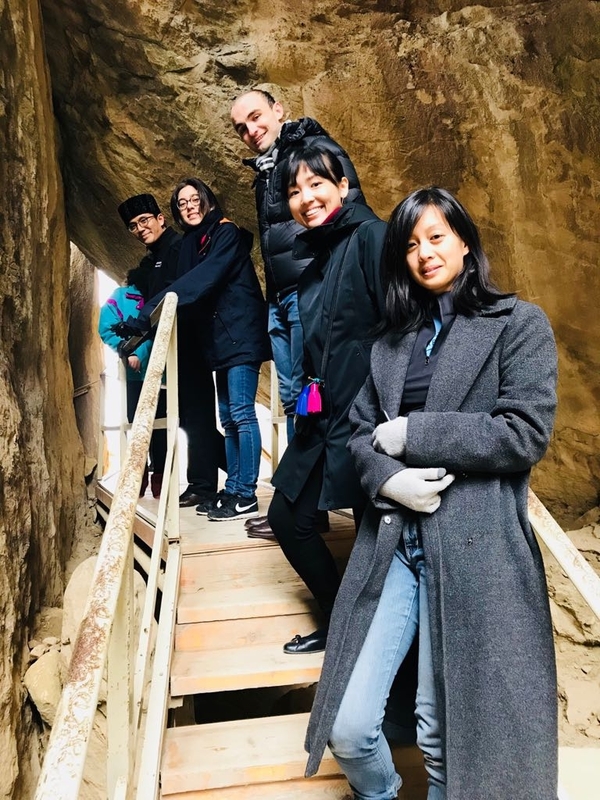 On the final day, the Trekkers experienced a memorable boat trip on the Caspian Sea, followed by a visit to the Gobustan National Park where they experienced the Rock Art Cultural Landscape and Mud Volcano Site. The night closed with a dinner hosted by the Azerbaijani Ambassador to the United States, Elin Suleymanof. 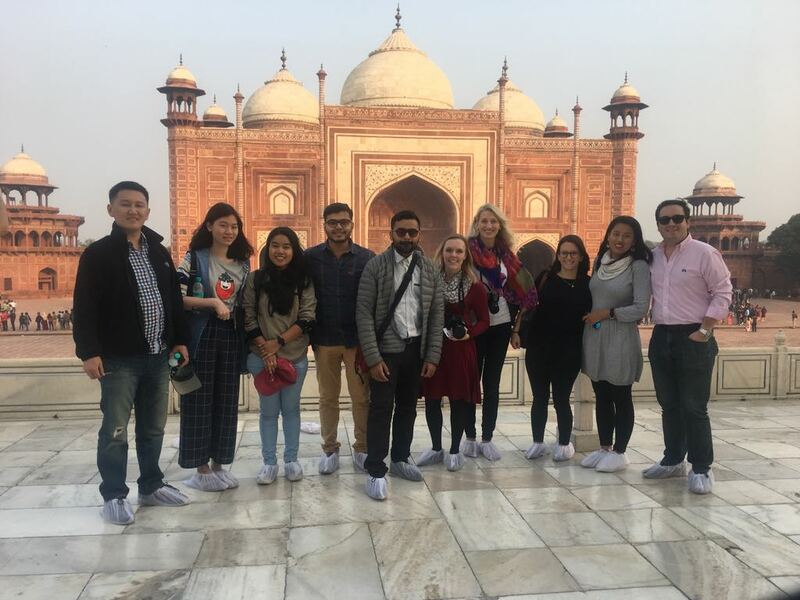 The third leg of the ALT saw Trekkers making a stop in India, one of Asia’s swiftly growing countries. 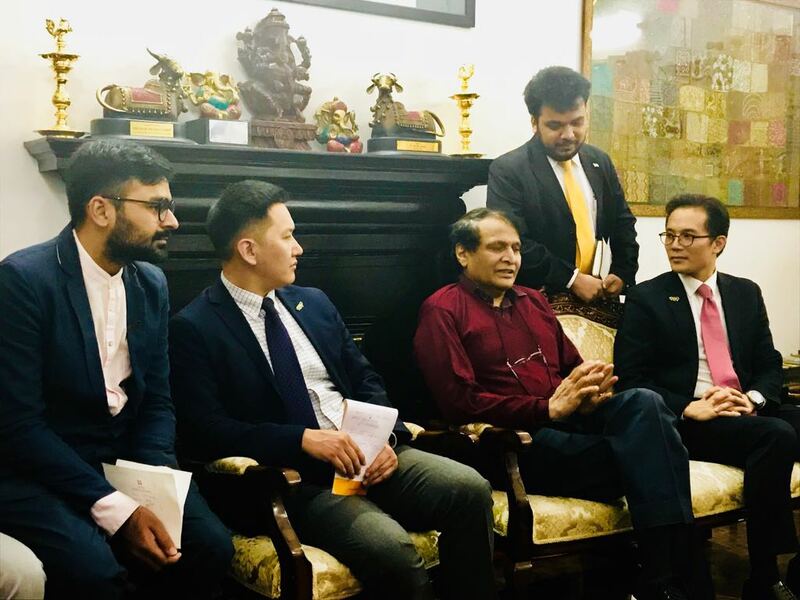 Having just rolled out a five trillion dollar economic plan at the World Economic Forum 2018 in Davos, the Trekkers descended into New Delhi with the aspiration to understand the effect of the Indian economy, influences and culture on the world. The mission of India’s current government is to transform the country and unlock the potential growth of a 600 million person middle class by 2025, with an average age of 29. The goal is to maintain a GDP growth rate of 8-9%. First on the agenda was a meeting with the Minister of Railways, Piyush Goyal and Minister of Trade and Commerce Suresh Prabhu. Goyal, who was also a participant at Davos, is a proponent of the modernization and safety issues concerning the Indian Railway systems. He relayed to the Trekkers that there is a huge scope for innovations in railways, particularly in signaling systems. In their discussion with Prabhu, the Trekkers learned about the ongoing negotiations for a free trade agreement between India and the European Free Trade Association (EFTA). Next, the Trekkers met with Uma Prabhu, chairperson for the Manav Sadhan Vikas Sanstha (MSVS) and renowned journalist. She provided the Trekkers with intimate insights on how India’s upper class is helping the underprivileged rise up from poverty. At Mumbai, the Trekkers met with the Vice President of India Venkaiah Naidu and his Private Secretary, Dr. N. Yuvaraj, and learned about Naidu’s passion to create a governance without fear, corruption and discrimination. Later, they met with business leaders from the financial sector namely Mahindra Finance and the Bombay Stock Exchange, who not only shared their businesses practices but also their personal stories and learning from value add activities within their communities. Additionally, the Trekkers also met with Deena Mehta, former MD of the Bombay Stock Exchange who shared her experiences as a woman succeeding in a man’s profession. The Mumbai visit concluded with insights on the billions of dollars managed back and forth in the temple industry by Dr. Suresh Haware. Sevagram is the village where Mahatma Ghandi lived out his life in an ashram. The Trekkers were taken to visit Kasturba Hospital, where they were given a tour and were met by the medical and management staff. The hospital plays a big role in the community’s life there and medical students are encouraged to adopt two families each to educate them about a variety of issues such as hygiene and vaccinations. The Trekkers also met with self-help groups for women, men, girls and boys, where insights were shared on how their regular meetings provided opportunity for discussion and solving problems when it came to domestic violence, loans, harvesting and farming best practices.